Really good royal brooches stand the test of time -- they look as good and as fresh when worn today as they did nearly a century ago. Today's brooch, the Queen Mother's Rock Crystal Brooch, fits that description perfectly. The brooch is made of translucent rock crystal carved with scroll designs. The jewel features a diamond centerpiece and diamond edging with black enamel detailing. This view from the side of the piece emphasizes the carved designs. Because the rock crystal is translucent, the brooch takes on the color of the fabric worn behind it, sometimes obscuring the delicate details of the piece. The piece has some Art Deco details, which fits with its probable construction date. 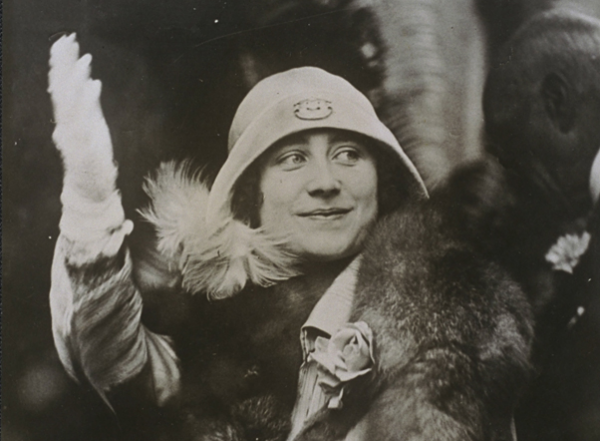 The Queen Mother began wearing the brooch in the 1920s, most often as a hat ornament. 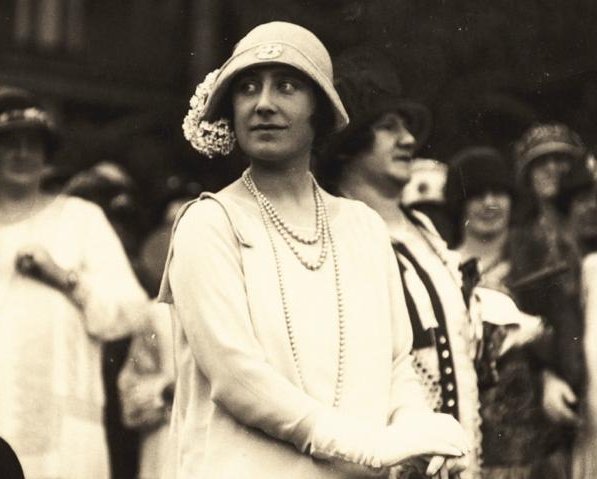 Above, she wears the brooch on a cloche for engagements in Brisbane during the royal tour of Australia in April 1927. 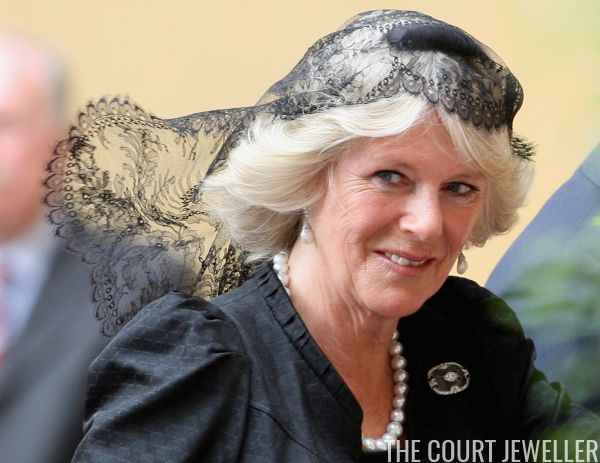 Today, the brooch is worn by the Duchess of Cornwall. Above, she wears the brooch during a trip to Poland in April 2008. 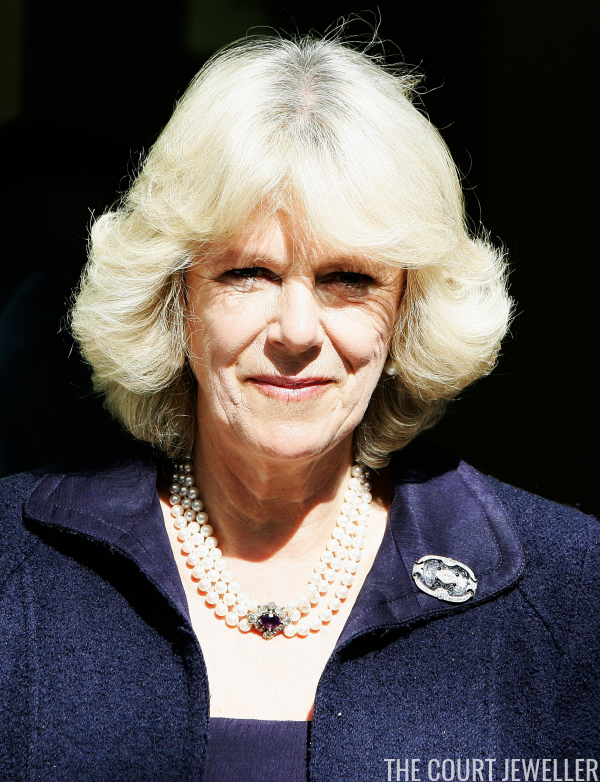 One of Camilla's most prominent outings in the brooch so far came in April 2009, when she wore it to the Vatican for a meeting with Pope Benedict. The translucent quality of the rock crystal is especially apparent when it's worn against a dark color -- on this occasion, black. 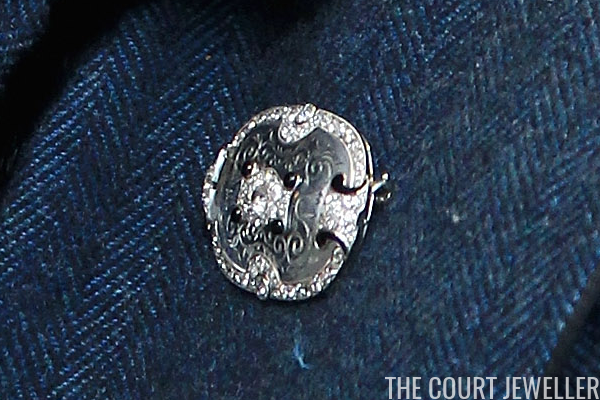 The brooch has made several recent appearances, including an outing on Christmas Day at Sandringham. 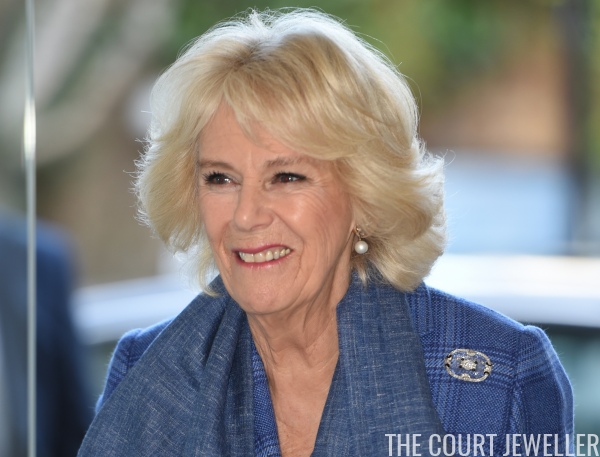 Above, Camilla wore the brooch in February 2018 for a visit to the Royal Academy of Dance in London.